LIVE exporter Harmony Foods will ship two loads of live cattle this month but has put its live sheep exports program on hold. 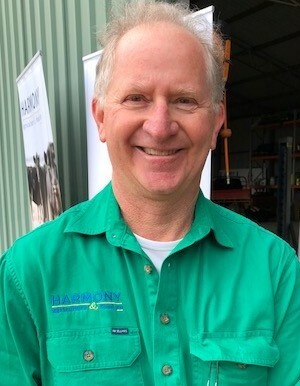 Harmony Foods managing director Stephen Meerwald conceded he had concerns about the shipping of sheep after receiving a letter from Animals Australia. The letter included a 650-page document on meteorological data and information on the injunction process AA would follow if the company was implicated in any animal welfare situations. That letter was sent not only to Mr Meerwald but to all of the company’s directors including the company’s chairman in China, and “it went to him directly”, Mr Meerwald said. The company was to start sourcing sheep for a 13,000-head shipment to Oman which was due next week, but has pulled out of this due to concerns it may end up in a similar situation to Emmanuel Exports, where sheep have been held in quarantine since mid-June. “We know we could deliver the sheep on our ship to Oman, and we would do it well,” Mr Meerwald said. The company is also not prepared to wear the $40,000 potential cost per day it would incur if a shipment is stopped (for keeping a ship in port and the sheep in quarantine). The company’s board is also reassessing its plans for its new property at Woottating about one hour north-east of Perth, which was bought in September to be a pre-export quarantine facility to feed into Fremantle. “I’m not sure that is still exactly part of our plan and it might be, but we are not prepared to make that decision until we have a bit more clarity,” Mr Meerwald said. The two cattle shipments will go ahead and are due to leave in the next week, including one ship to China, which gets into port today and loads next week. The other will berth in Darwin on August 10 and is destined for Indonesia. Mr Meerwald said the trade to China had been slower than the company had anticipated and hence the decision to service other markets. “There’s a whole range of other activity we are doing as a consequence of having a range of markets and not having a dependence on one particular trade,” he said. Harmony Foods has shipped 12,600 cattle to China since the end of last year. “The cattle are predominately 600kg, 100-day plus grainfed Angus cattle,” Mr Meerwald said. “We do know it can be done, we do know these cattle travel really well, we do know they kill out really well. “We’ve seen them hanging in the chiller through the viewing window … we’ve seen the quality and colour of the meat and we’ve seen the quality and colour of the fat. “We know we can do that, we know that that product has a market in China but it’s a new product. “Not only are we shipping in a way no one’s shipped before with an animal that no one shipped before, on routes no one has shipped before other than little dairy heifers, but we are going into a market and putting Australian-produced animal into the Chinese market potentially as a fresh product. Would be interesting to know if the ACCC would be interested in the actions of Animals Australia as a non profit organisation. They are using frivolous legal action to bully and intimidate to push their own agenda? I grew up on a dairy/beef property, and I applaud AA’s action which seeks only to stop the cruelty inherent in live export. It is more humane to slaughter animals in Australia where the public have some confidence that it will be done humanely by law and animals are not subject to long sea voyages. Live export is a small component compared to the frozen/chilled exports. All producer organizations must unite in the fight againt AA. They are not there to protect animals. They are there to end all live export, and who will benefit from that? Those who fund AA.